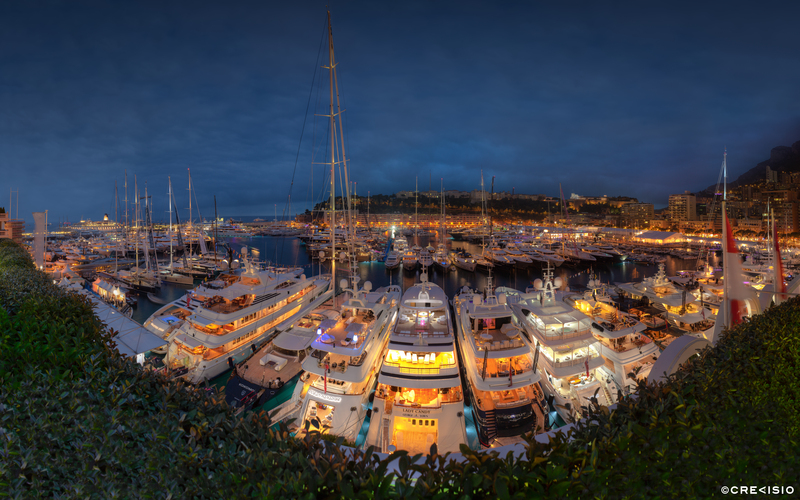 Monaco Yacht Show 2013 Port Hercule ultra high resolution panorama, with 333 megapixels, shot during sunset in the Principality of Monaco. Even though the weather was not in our favour this year, our photographer still managed to get a lucky shot without too much movement of the yachts. The full image size is a 333 megapixel TIFF file (23,069 x 14418 pixels, at 300 dpi).